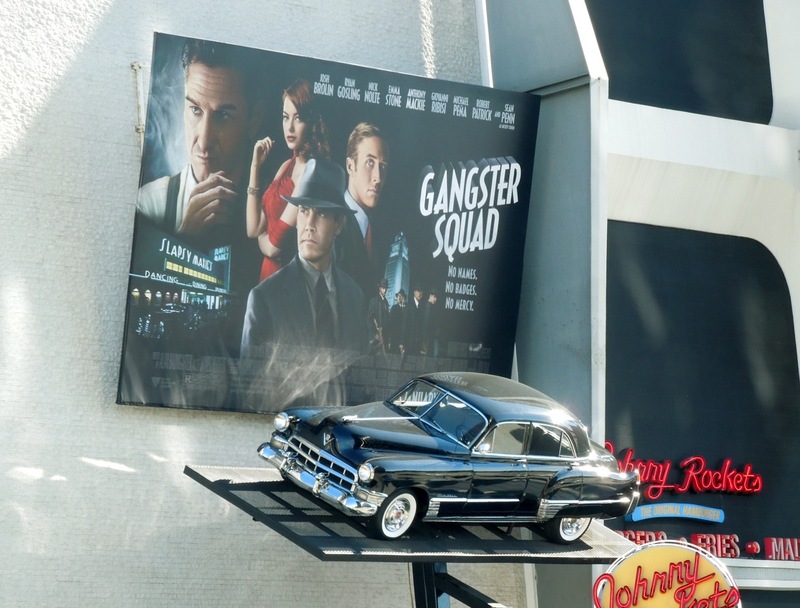 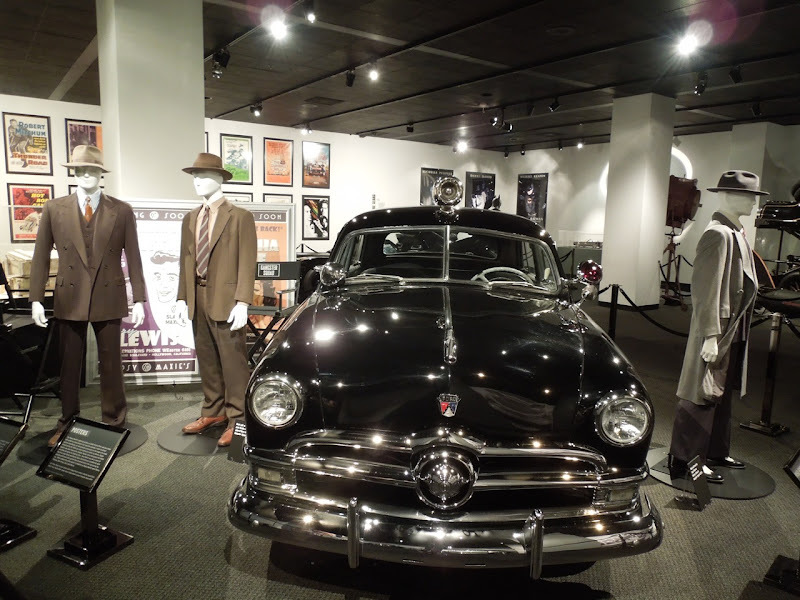 If you're a fan of classic cars and period gangster movies then you'll love this movie exhibit for the forthcoming film Gangster Squad currently on display at the Petersen Automotive Museum in Los Angeles. 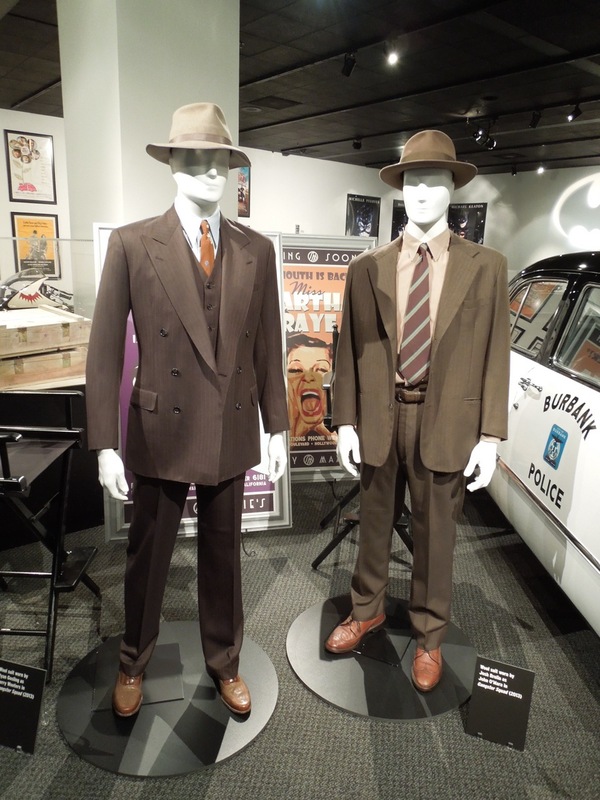 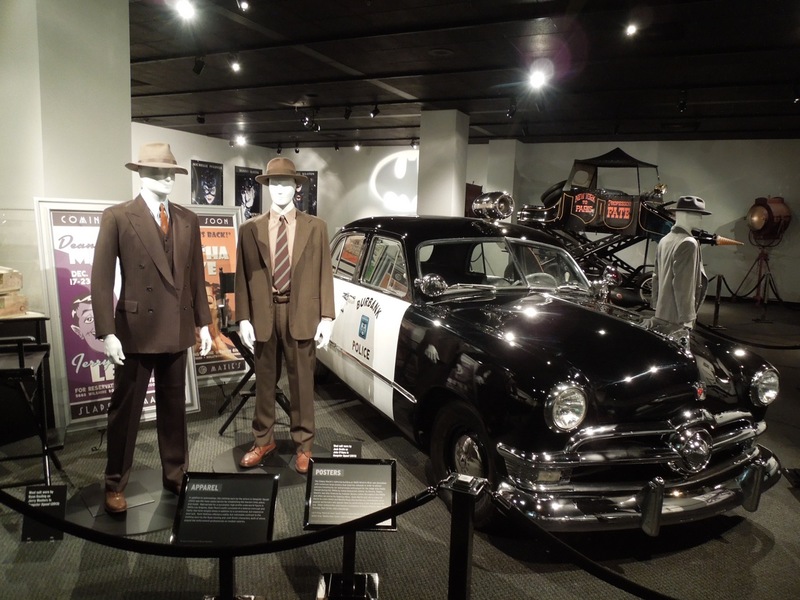 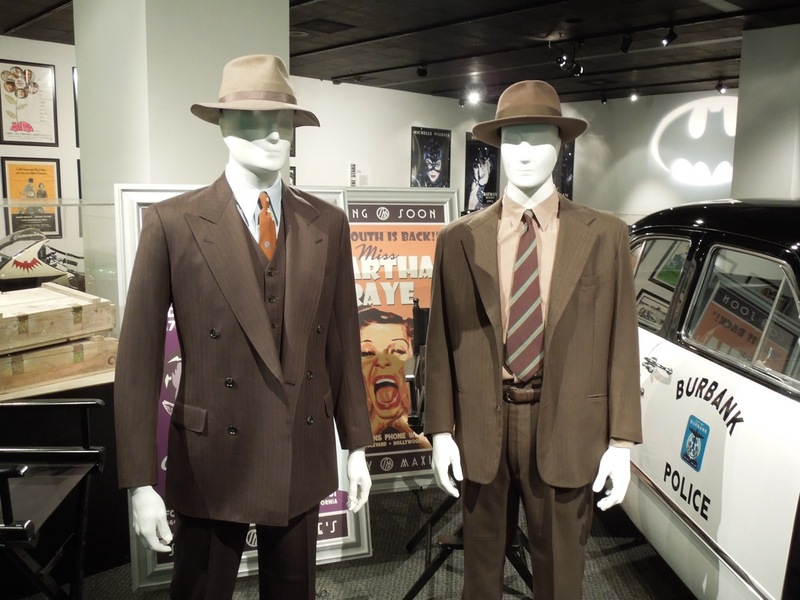 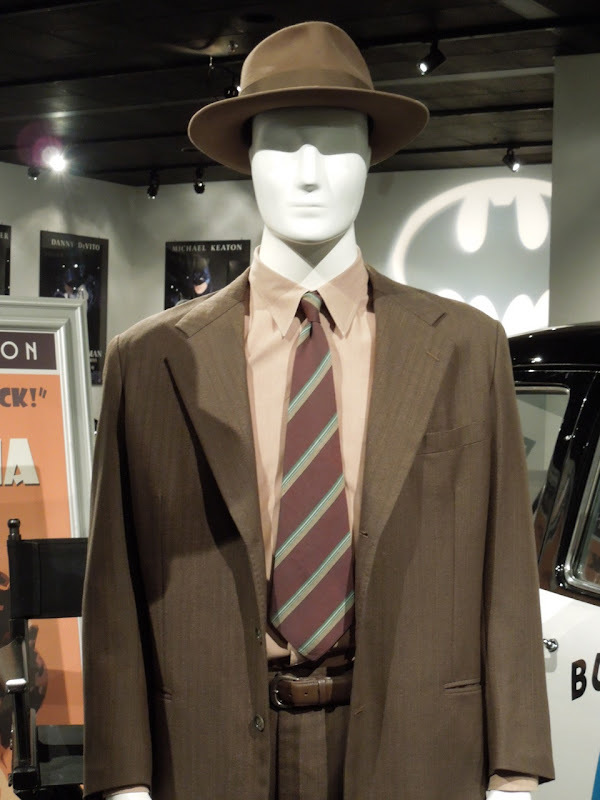 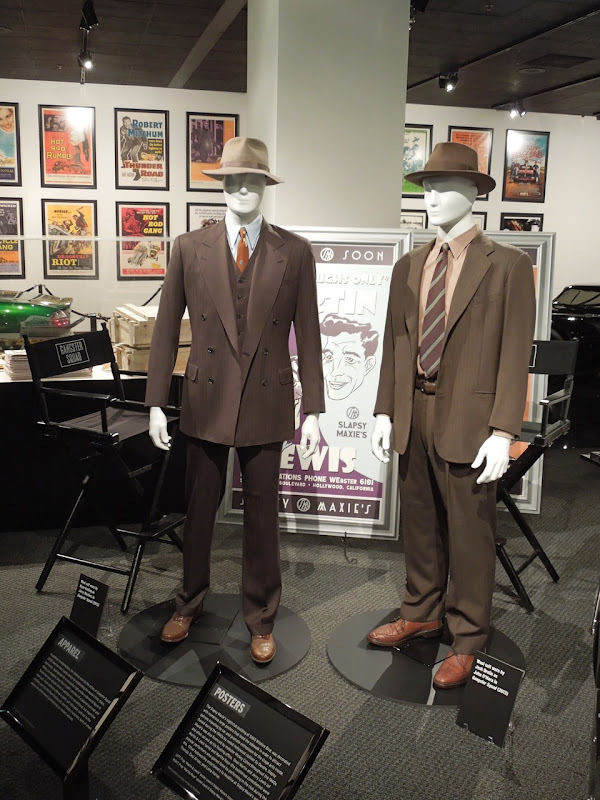 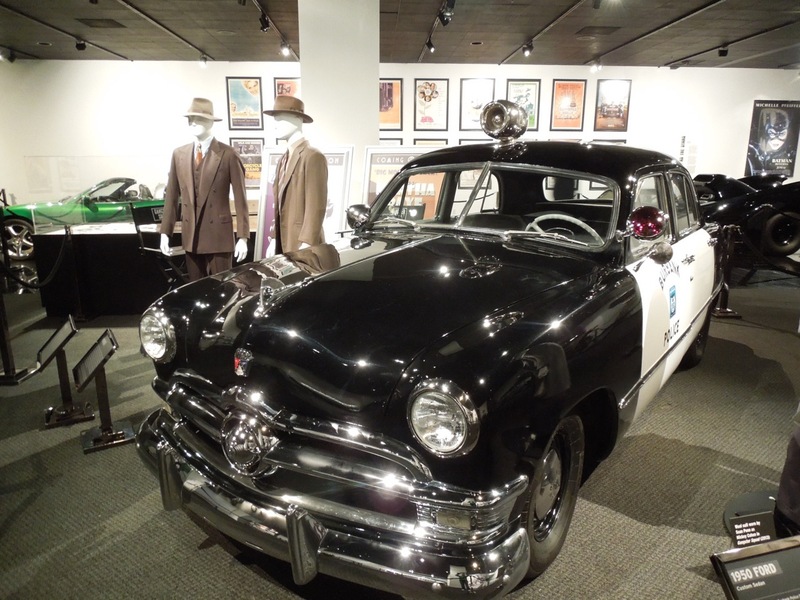 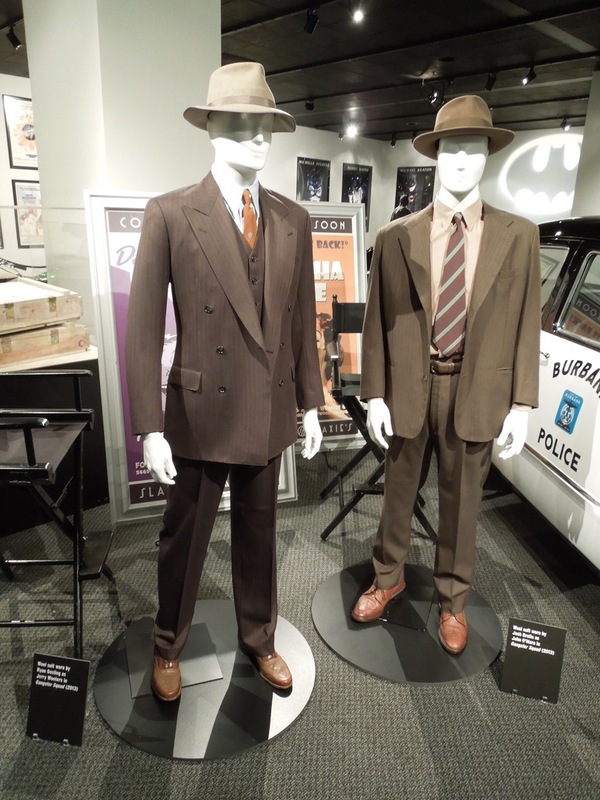 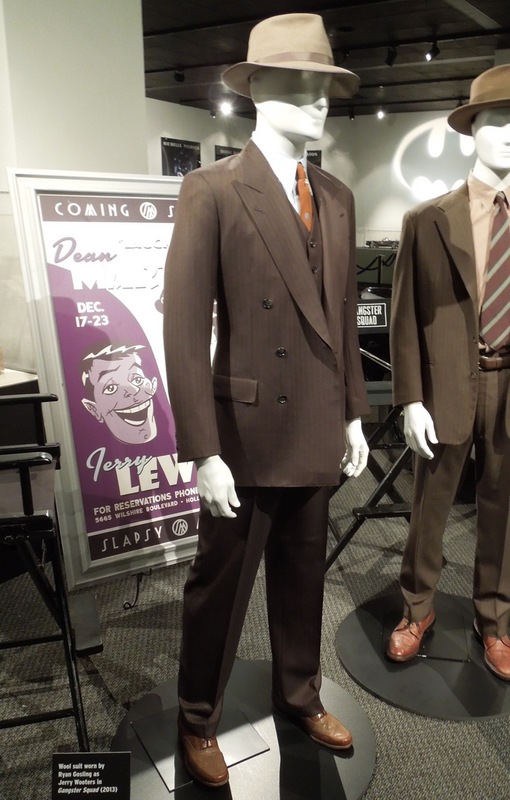 These actual costumes worn by Ryan Gosling and Josh Brolin, plus the 1950 Ford Custom Sedan used as a Burbank PD squad car in the movie, were photographed on display on December 15, 2012. 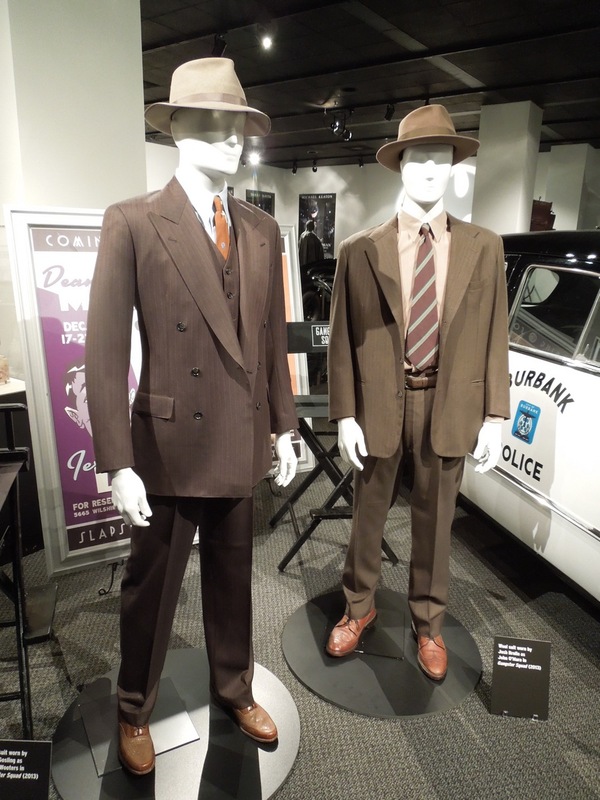 These costumes used to evoke 1940's and 50's L.A. were designed by Mary Zophres. 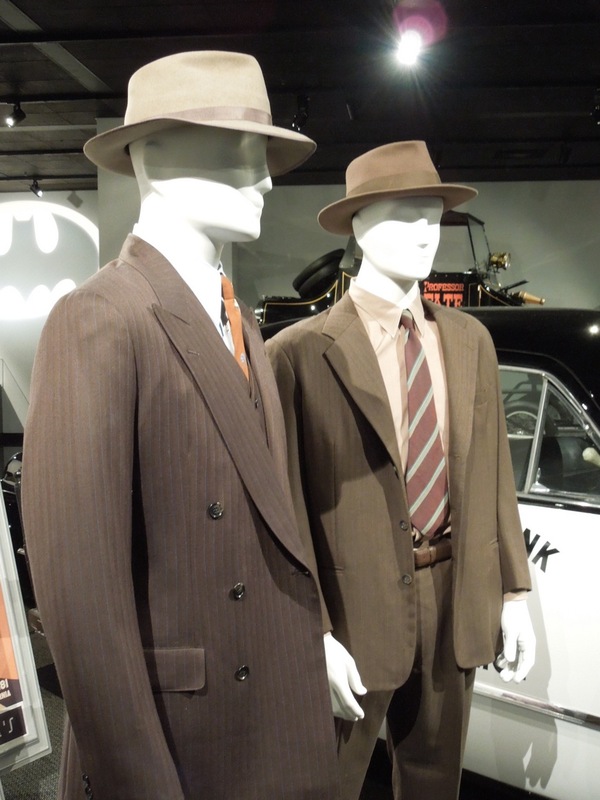 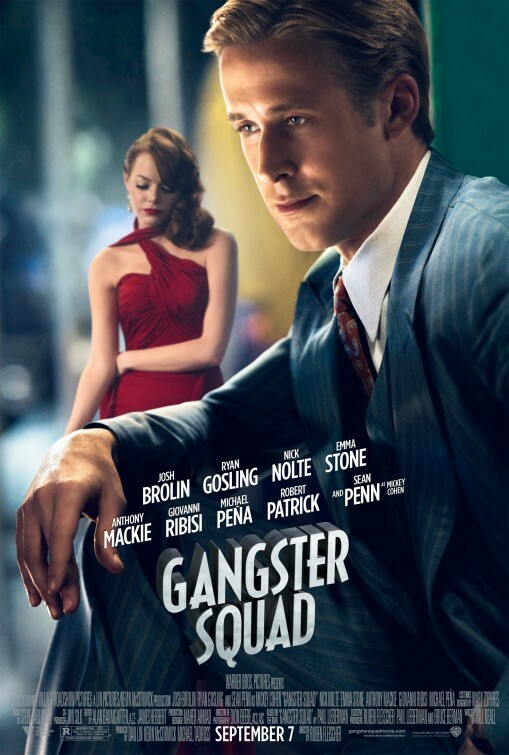 The wool suits were worn by Ryan Gosling as 'Sgt. Jerry Wooters' and Josh Brolin as 'Sgt. 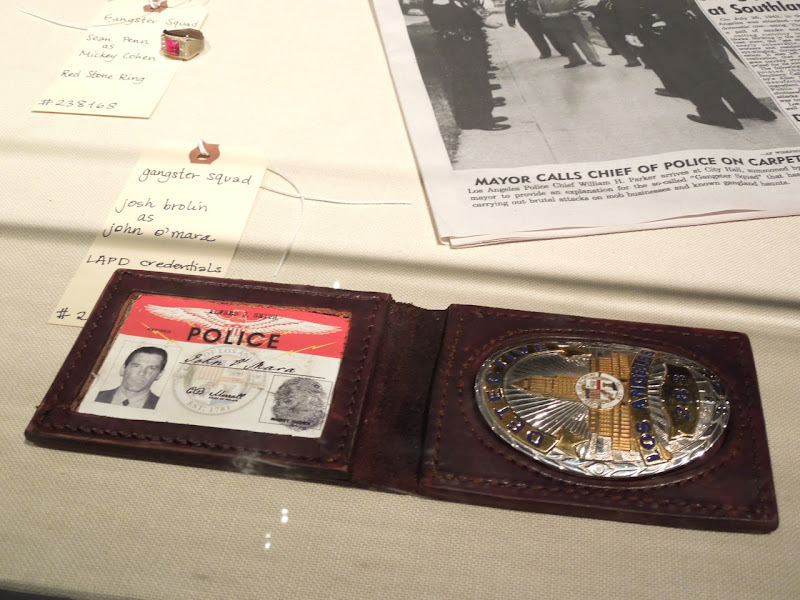 John O'Mara' were designed to look less expensive and flashy than Sean Penn's Mickey Cohen gangster costume, as both actors played LAPD law enforcement officers on modest salaries. 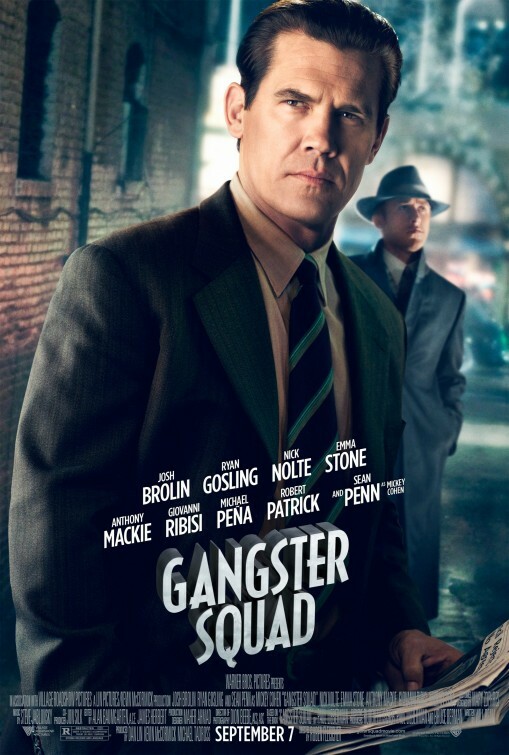 In the film the two handsome actors play LAPD Detectives who are tasked with stopping the invasion of East Coast Mafia types using methods outside the scope of usual police authority. 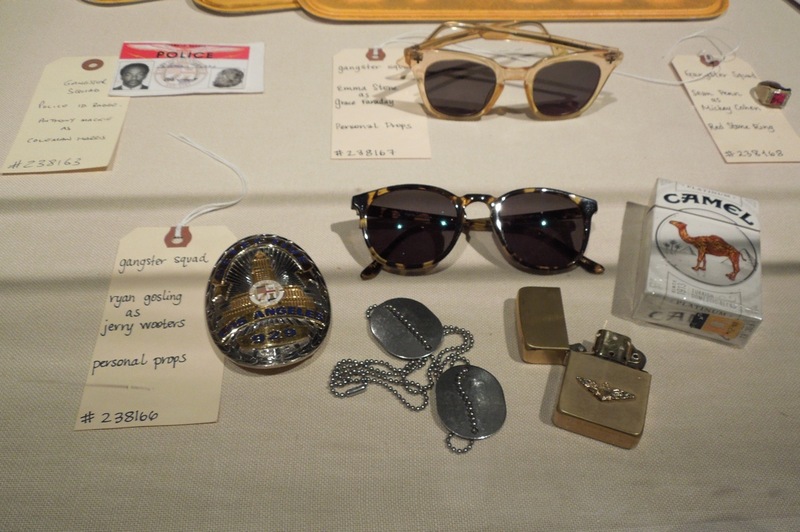 Also on display with the period outfits were these props used by the actors, including LAPD police badges, sunglasses and even cigarettes from the era. 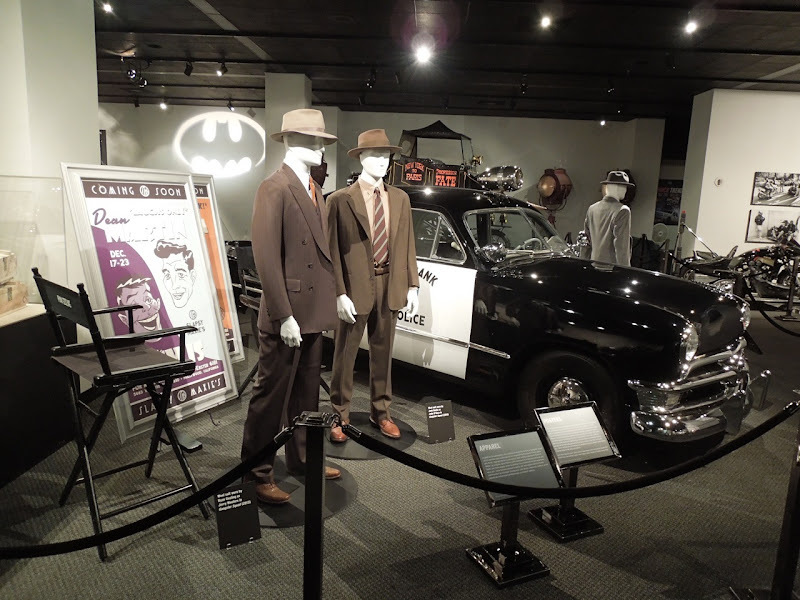 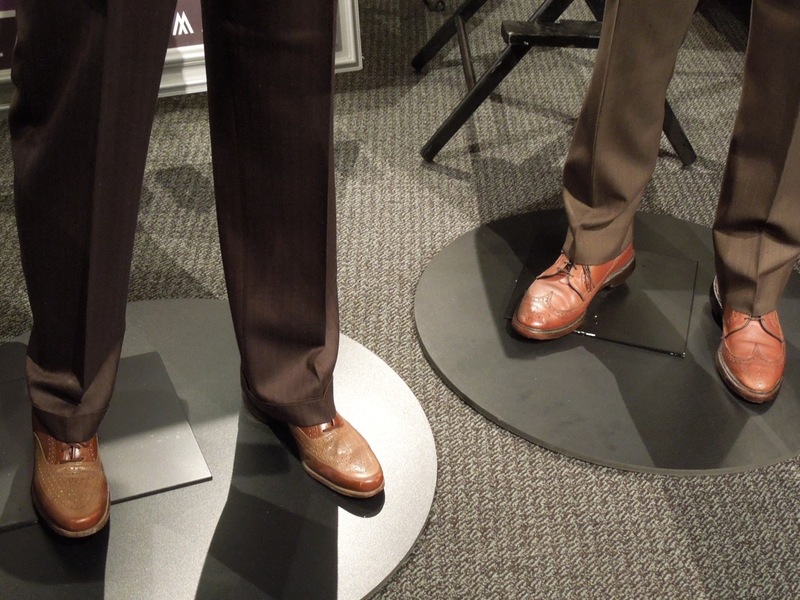 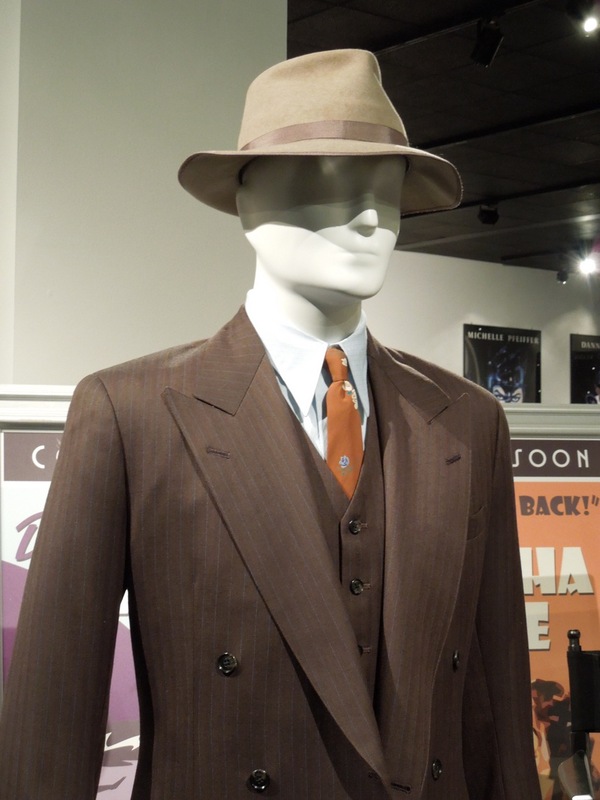 If you like these, be sure to check out more costumes, props and cars from Gangster Squad on display.